Many Americans are rightly incensed at the revelation that 47 Republican Senators signed on to an open letter to hardliners in Iran warning them that according to their pledge of loyalty to a foreigner leading the nation of Israel, they will make sure that America does not abide by its international agreements. Although there is no doubt the Republicans’ goal is sabotaging American efforts for a peaceful resolution with Iran over its alleged nuclear ambitions, it is somewhat surprising so many Americans were stunned at the news. After all, the only reason corrupt John Boehner brought Benjamin Netanyahu to America was to lobby the full Congress to pass a piece of neo-con war power legislation to sabotage the United Nation’s (P5+1) attempt to avoid another American Middle East war Netanyahu is desperate to start. Having failed in the first Netanyahu ploy, Senate Republicans displayed their fealty to the Israeli foreigner by warning Iran that despite the Constitution or international law, Republicans and Netanyahu set America’s Middle East policy; not the leader of the Executive branch President Obama. 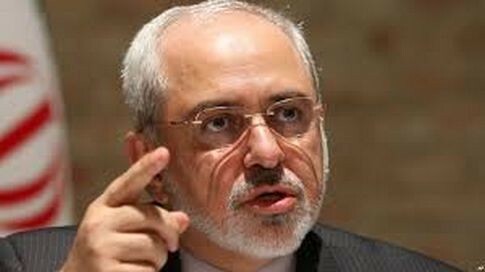 It is something that astonished Iran’s Foreign Minister Zarif who took time out of his busy schedule to inform “the letter’s authors” that they are as ignorant of their own Constitution as their stupid Confederate base of supporters. Zarif said, “in our view, this letter has no legal value and is mostly a propaganda ploy. It is very interesting that while negotiations are still in progress and while no agreement has been reached, some political pressure groups are so afraid even of the prospect of an agreement that they resort to unconventional methods, unprecedented in diplomatic history. This indicates that like Netanyahu, who considers peace an existential threat, some are opposed to any agreement, regardless of its content.” Republican and Netanyahu war mongering is certainly not a secret, but it is a very prescient statement coming from so-called “warmongering” Iranians. It is embarrassing that Iran had to educate our republican leaders on the constitution. Republicans were too busy meeting with private contractors and lining their pockets. That letter was shameful, childish and irresponsible.